The firm currently manages 7 cryptocurrencies, within its holdings are Bitcoin (BTC), Bitcoin Cash (BCH), Ethereum (ETH), Ethereum Classic (ETC), Litecoin (LTC), XRP and Zcash (ZEC). By far, their biggest holding is - fairly unsurprisingly – Bitcoin, with a jaw-dropping $1.3 billion, but coming in close 2nd with a sizable $90 million is Ethereum Classic. 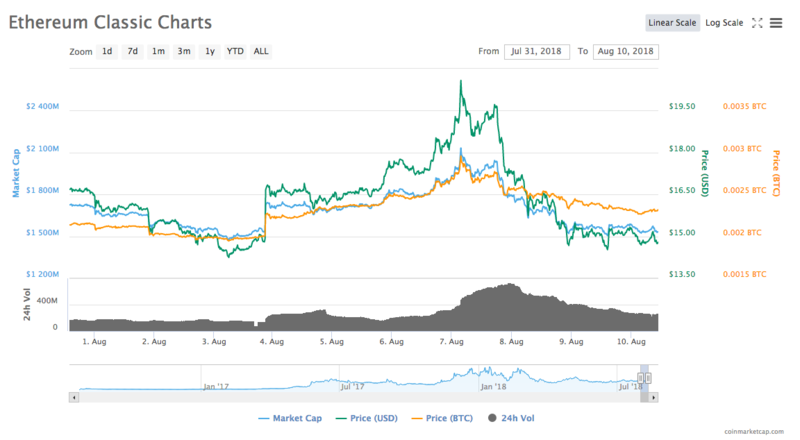 This disclosure came in the wake of a recent run on price for ETC, going from around $14 to $20 before coming back down to Earth. ETC has been gaining traction of late, from Robinhood adding support for ETC to the announcement of the addition to Coinbase pro, as well as the Bittrex announcement that it is adding an ETC/USD trading pair. 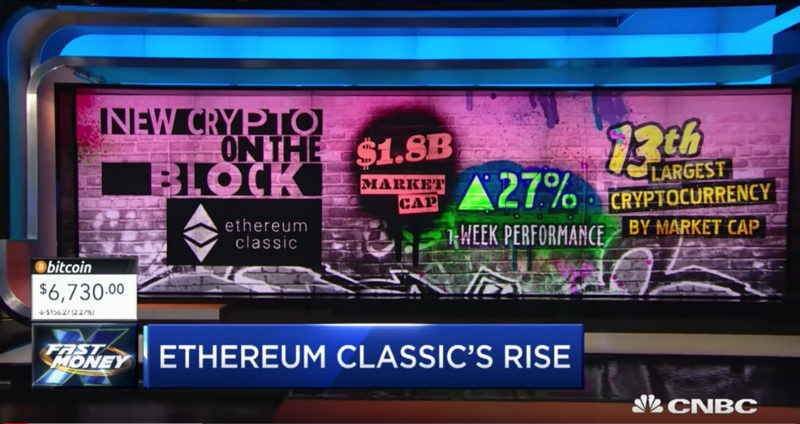 On top of all this, CNBC’s Fast Money recently called Ethereum Classic the “new crypto on the block”. Are you going to invest in ETC? I have a few better options.